Wade DeBruin (2009-2011). We encourage our followers to use their power for good. And this year our donors will have the power to choose where their donation goes. Continue below to learn about the initiatives that you can directly fund when you make your donation. Wade’s Amy is leading the charge against neuroblastoma with several like-minded charities. We have offered $1,000,000 to the international scientific community to develop a novel INTERNATIONAL frontline pilot study for children with newly diagnosed high-risk neuroblastoma. We are looking for a radical alternative to current therapy that will change the outcome for our children. Today, only 4 in 10 children with high-risk neuroblastoma are alive 5 years after diagnosis and it’s time to challenge the current standard. See details of our collaborative international neuroblastoma research initiative here and help support this initiative by donating now! Wade's Army has funded four Phase I Clinical Trials in search for a cure for neuroblastoma, a horrific pediatric cancer. We are constantly reminded of the devils of this disease. Three of our young Hero’s Imogen, Jack, and Wesley passed away last year driving home the importance to fund trials in search for a cure. Phase I Clinical Trials test several important treatment factors including whether the drug reaches the cancer, how the drug behaves in a child’s body, and how cancer cells respond to the drug. Cancer research is not flashy or fun to talk, but funding these trials get us one step closer to finding a cure for neuroblastoma. Wade's Army is a charity founded to honor the fight of Wade DeBruin and provide financial assistance for families battling neuroblastoma. Cancer is a word everyone knows and every parent fears. Pediatric cancer can be an overwhelming experience for a family. When a child is in the fight with pediatric cancer like neuroblastoma, everything in life can be drowned out and bills, missed work, and travel expenses can pile up very quickly. 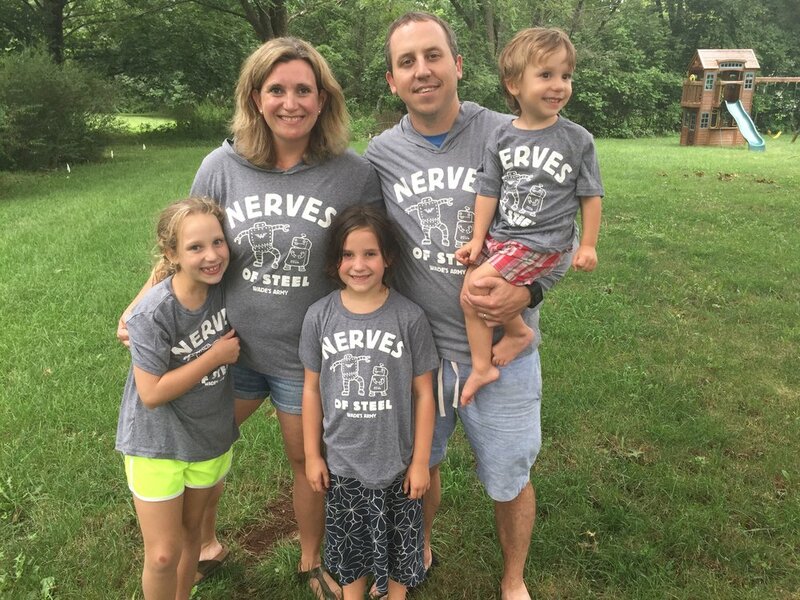 Join and provide financial support to families battling neuroblastoma to cover treatment, loss of work, and other unexpected costs to allow families to focus their energy on supporting their child. Help support this initiative by donating now! Wade's Army aims to give every dollar intended to help families or fund research to the given cause. To accomplish this goal, we must raise funds for Wade's uniforms, shipping, and operations. Help support this initiative by donating now! Part of our 2018 initiatives is to fund a functional and easily accessible kitchen to all oncology patients at Cincinnati Children's hospital for kids and parents to prepare smoothies and healthy meals during hospital stays! 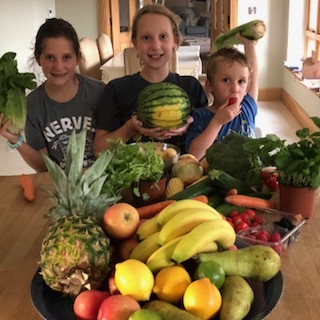 We are firm believers in the connection between nutrition and successful treatment and hospital food can be hard on the whole family. Help us change this by supporting this initiative and donating now!